Reiki sessions can help and support people in many ways, from the physical to the emotional. Reiki can be ideal for students in London suffering from stress and anxiety during the exam period. 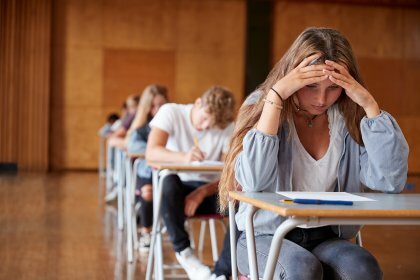 The process of revising for your mock exams or the real ones, can sometimes be a daunting task and can place students under a lot of pressure. This is where reiki treatments can really help. With so many things going on, it can seem a struggle to understand what you are learning and how you will be able to stay calm and concentrate on the task at hand. Although the Reiki treatments will not guarantee a successful exam result, they can help you stay calm and more relaxed during the exam period. In turn it can help to give you a much clearer state of mind when answering the exam questions. To give you an idea of what you can expect, my Reiki sessions usually last for about an hour, and are a hands on treatment with you remaining fully clothed. This is because the energy will penetrate through whatever you are wearing. You may find that your body temperature fluctuates a little during the reiki session. This can be especially noticed if there are emotions coming up to the surface during a reiki session. If you are a student studying for your exams and have recognised any of the issues I have mentioned above, then please get in touch and we can discuss further how reiki can help you through your difficulties.